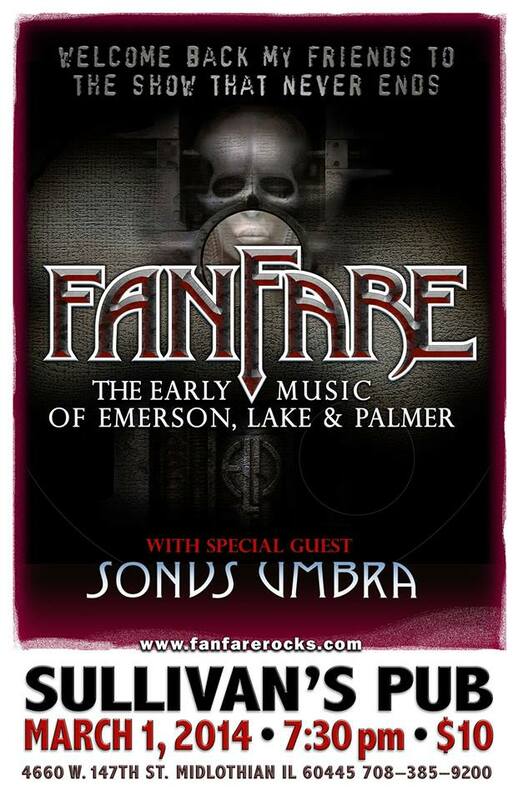 Fanfare performs the music of Emerson, Lake & Palmer at Sullivan’s Pub in Midlothian, with very special guest Sonus Umbra. Tickets $10 at door. Fanfare’s performance will feature the entire Karn Evil 9 suite and much more classic ELP music. Sonus Umbra opens at 7:30, Fanfare no later than 9:30.